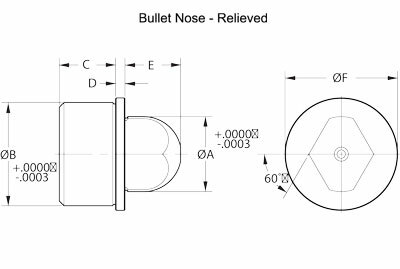 Bullet Nose Pins are used together to align two pieces of a fixture. 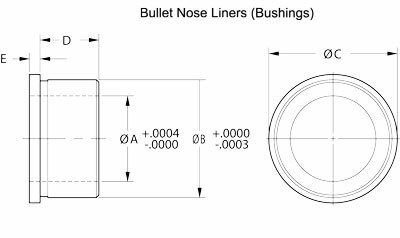 The round and relieved style are used in conjunction with a matching bushing to locate radially on the round pin. 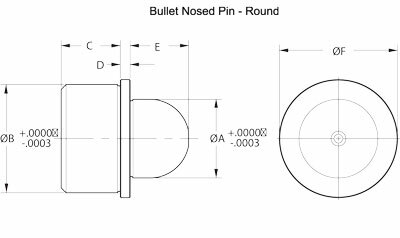 The flats on the relieved pin prevents binding, yet allows a high degree of accuracy to be maintained.